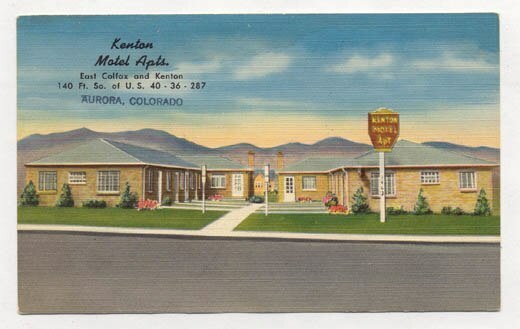 Vintage linen postcard of the Kenton Motel Apartments, 10950 E. Colfax Avenue. Built in 1950, also known as the Radiant Motel. No longer in existence.